Metropolitan Coach Lines (ex-Pacific Electric) PCC no. 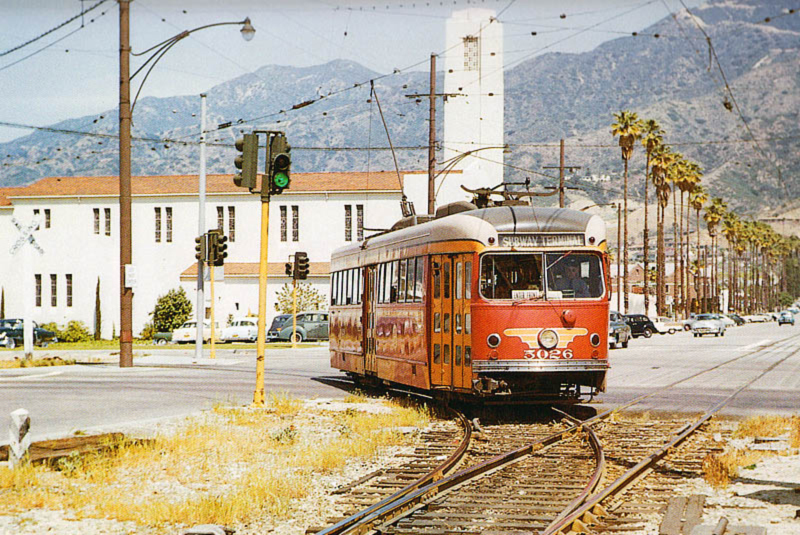 5026 turns at Glenoaks and Brand Boulevards headed for the Subway Terminal Building in this image dated April 12, 1955. The church on the corner is still there. Some of the center island for the Red car is still there.